Outside Play. The V-Cut. This is one of the basic cuts an outside player must learn to make, in order to get open to receive the pass. Don't just stand still waiting to get the pass. 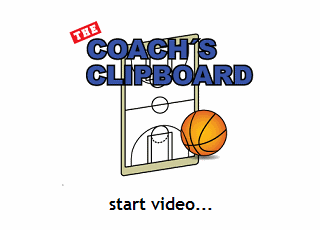 Make a V-cut by moving inside a few steps toward the basket, and then firmly plant the inside foot and push off of it, and cut back outside for the pass. This will create the spacing between you and the defender that you need to get the pass. I would actually like to see the receiver "jump behind" the pass and catch it with a jump-stop, in triple threat position.